Less than two months after officially arriving in the US (unlocked), the Sony Xperia X Performance is now cheaper than at launch. Initially sold for $699.99, starting this week, the handset can be bought for $629.99 via Sony's official US partners: Amazon, Best Buy, B&H Photo, and Reagan Wireless. That's $70 off the original price, and the phone is now certainly more attractive to potential buyers. When we reviewed the Xperia X Performance, we noted that the biggest gripe we had with it was its high price. The smartphone lacks some of the features that its competitors are offering, including 4K video recording and fingerprint scanner (this is true only for the US version), so it's nice to see that Sony has come to its senses and it's asking a more reasonable price for the device. Of course, sometime soon (perhaps in October in the US), Sony will release the brand new Xperia XZ, which is superior to the X Performance, and should cost $600 - $700. 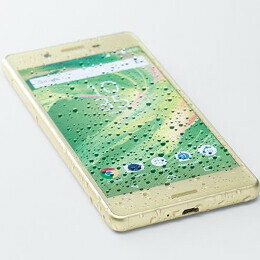 Thus, we can't say we recommend you to get the Xperia X Performance right now, but, if you really want to buy it, you can find it at the source link below. $630, and $600 is the price which Sony should have started-off selling the X Performance. They won't survive with their steep pricing, and they even had the guts to price the XZ at $800! I wish them luck in sales at such a price tag, lol. where'd you get 800 from? It ain't worth it even for free. I like this phone. I do however agree with PA's assessment of where Sony positioned the phone price wise (bang for you buck). I guess they feel they have to lower the price now that the new ones are coming out. That's partly what they get with their 6 month release cycle though. Sony wasted their efforts on this phone IMO, the X compact and XZ should have been the new X series released earlier this year. Not to mention the uber steep pricing on the X here in our country. Why would I pay over $645 for a 'midrange' phone. how is a snapdragon 820 a midrange phone? In the US, Sony must have an extensive recycling operation. I'm yet to see one in the wild. In fact, I've seen more Nexus, than Sony devices.